Meet Yama, a staff member at the famous Cat Street footwear shop Tokyo Bopper. You might recognize her from other street snaps if you read any of the Japanese magazines that cover Harajuku fashion. Yama’s outfit includes a long light coat that she picked up resale over a white top and red skirt (which she also purchased resale), white crackle pattern tights, blue socks, and platform shoes from Unbilical (a Tokyo Bopper brand). 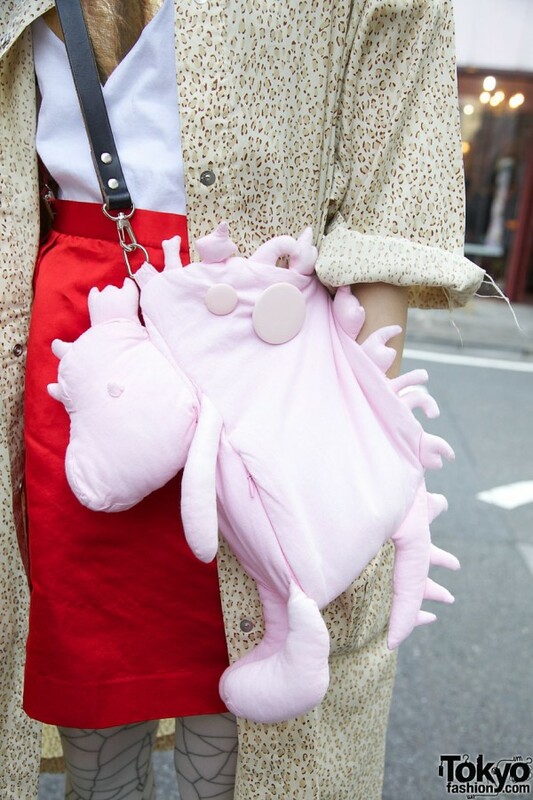 Her accessories include a hair bow to accent her cool short black hairstyle, a pink purse in the shape of a monster (or an animal? 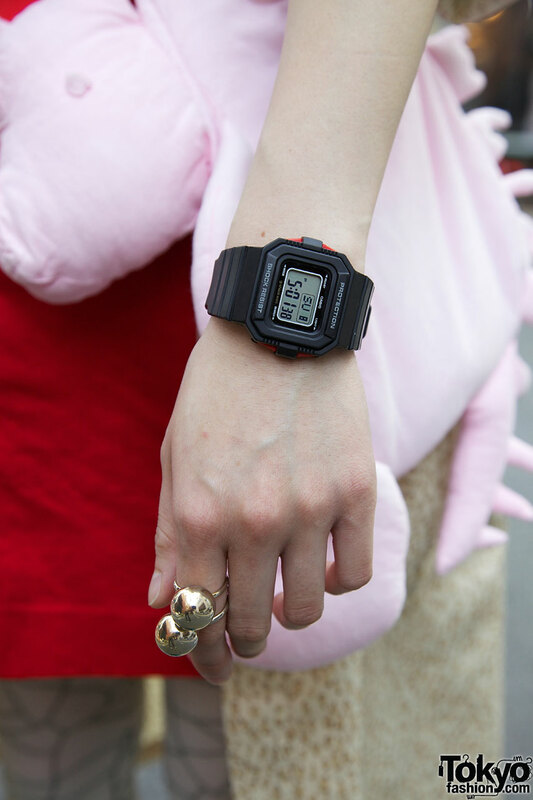 ), a Casio G-shock watch, and two large silver sphere rings. When we asked Yama about her favorite shop, of course she said “Tokyo Bopper”! I LOVVVVE Yama’s style. It is always SO unique..Every last detail is amazing, down to the bag and the dot of blue on her eye! 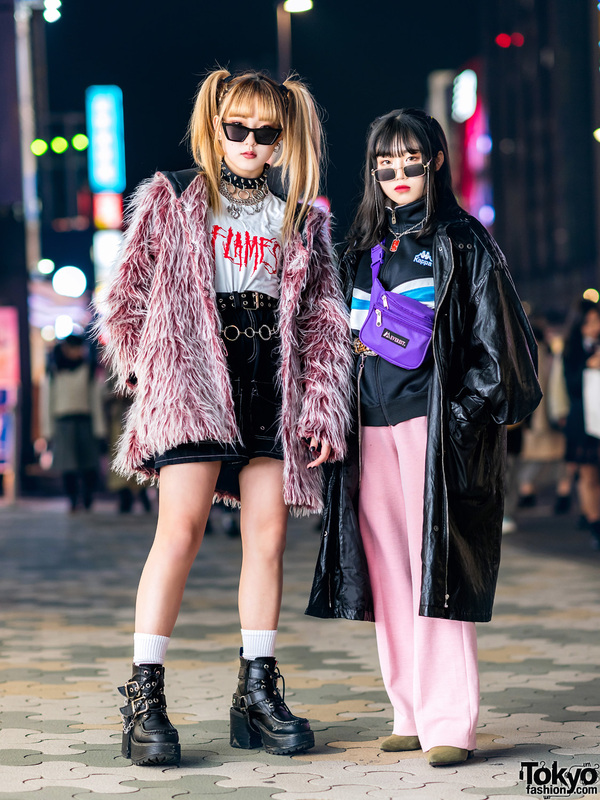 I think I’ve seen her on other street jap fashion webs hmmm…. the hair(L) the bag(L) the tights! the blue on her eyes<3 this is cute! the tights are A. MA. ZING. so are the shoes…. want them.